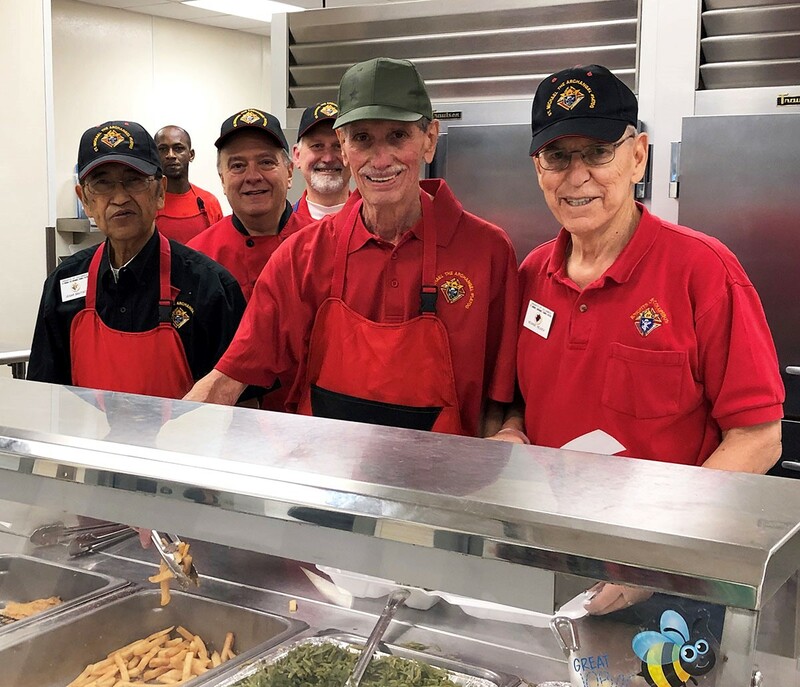 The Knights of Columbus Council #14700 serving line team keeps things moving while filling guests’ plates with a smile. Pictured are (from left) Cesar Bautista, Michael Odeneye, Council #14700 President Tom DeGeorgio, Rick Thomas, Dwayne Dungen and George Rejsek. There’s a good chance that if you grew up in a small town with a Knights of Columbus Hall in it, at some point in your life you’ve enjoyed a Friday fish fry during Lent, the 40 weekdays leading up to Easter. Fish fries are often presented by Catholic churches as their faith asks their parishioners to sacrifice by refraining from eating meat on Fridays during Lent. Thankfully, at some point, some creative soul, who was probably hungry and ready to eat something other than cheese enchiladas, tuna casserole or meatless pizza, brainstormed the idea of a fish fry. Thankfully the tradition has continued through the generations. St. Michaels’ behind-the-scenes cooks fearlessly facing boiling hot oil for guests’ fried fish pleasure include Father Mike Gray and Tom Pielech. This heavenly dinner typically includes hot, out-of-the-fryer golden-crusted fish filets accompanied with saintly sides like coleslaw, French fries, green beans, macaroni and cheese, rolls and, if the angels smile down upon you, the fried jewels of the south - hush puppies. These magnificent meals are usually accompanied with a glass of iced tea or lemonade and, for the perfect finale to a tartar-sauced evening, visit the dessert table staffed by friendly church ladies selling mouthwatering sweets they lovingly made to help raise money for charity. 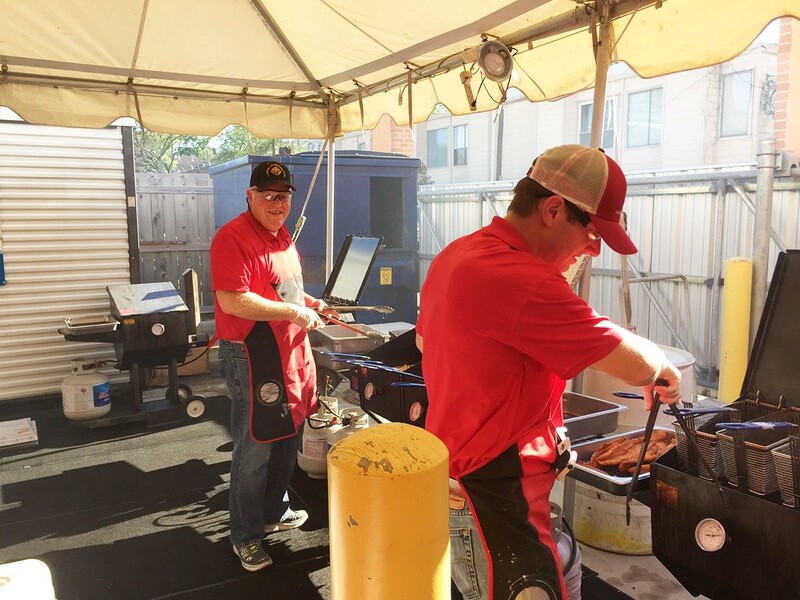 The majority of fish fry events happen thanks to a lot of love and hard work by local Knights of Columbus, a Catholic fraternal service organization. In smaller towns or more rural communities, the Knights often have their own halls for events but in big cities like Houston, fish fry events tend to take place in area churches’ fellowship and parish halls. Proceeds help the church community and support Knights of Columbus charities like Veterans Aid and American Wheelchair Mission. For the true fish fry experience, stick around and enjoy your meal. Many fish fry gatherings offer kids’ activities like face painting and balloon animals. 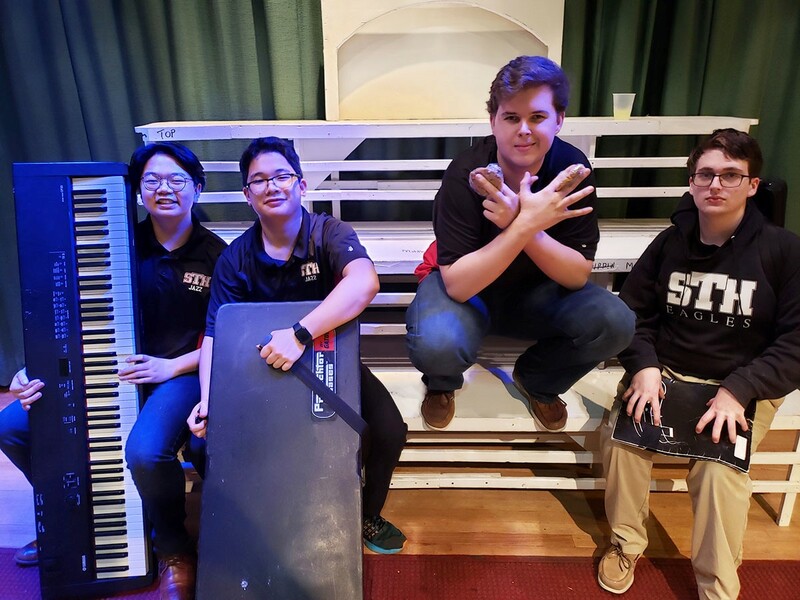 All Saints Catholic Church recently livened up their dinner with cool live jazz provided by St. Thomas High School Jazz Band members Jimmy "Catfish" Phan, JP "Friday is When" Nguyen, Taylor "Drum Fish Sticks" Albrecht and Daniel "wears and eats Hush Puppies" Jones. In addition to the reward of giving to the community, the group was well fed with catfish, fries and cheesecake. If you don’t have time to stay and hang out, to-go plates are also available. A few innovative churches, like St. Michaels’, offer drive-thrus. 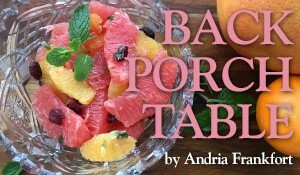 And many now serve healthier options like grilled and baked fish. No, this isn’t your grandmother’s, fish fry. The St. Thomas Jazz Combo lays down some cool Jazz at the Hot Fish Fry at All Saints Catholic Church. Pictured (from left) are Jimmy Phan on keyboard, JP Nguyen on baritone sax, Taylor Albrecht on drums and Daniel Jones on soprano sax. 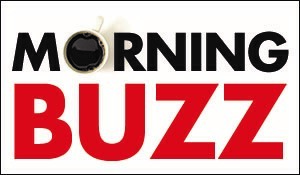 April 5, April 19, 5-8:30 p.m.
March 29, April 5, April 12, 5:30-7 p.m.
March 29, April 5, April 12, 5-7:30 p.m.
March 29, April 5, April 12, 5:30-8 p.m.
March 29, April 5, April 12, 5-7 p.m.
March 29, April 5, April 12, 6-9 p.m.